Eczema skin cream Eczema treatment, STOPs dry and itchy eczematous skin, special treatment for eczematous skin, immediately softens, soothes and calms eczematous skin, lowered pH acts effectively against skin reddening, itching or drying out. Eczema skin treatment - Eczema skin cream STOPs dry and itchy eczematous skin. Eczema skin treatment - Eczema skin cream is made of pure hemp oil, myrrh, marjoram, salt of the Dead Sea ans with slightly acidic pH for a special treatment of skin with the display eczema. The content effective substances support the natural ability of regeneratin of the dermal cells, renew the hydratio and pH balance of the skin. Thanks to slightly acidic pH the skin is extremely calm, flexible and soft. During the long-term use of the cream the general state and function of the skin is quickly restored, the treated skin excessively better resists to the negative influence of the background and with that even the occurance and repetitive eczema formation. Apply a small amount of the eczema skin cream locally onto the skin with the display of the eczema. The eczema skin cream can be used as a daily and night treatment. It is easily absorbed, non-greasy and with acidic pH significantly regulates skin condition and helps to restore the protective skin mantle. Do NOT use for a treatment of the areas around eyes. Any possible reddening of the skin after an application does not necessarily mean trouble and will eventually disappear itself. 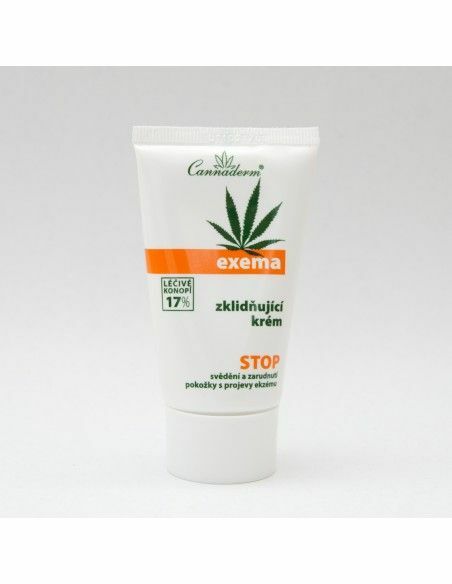 Eczema skin cream is to be used as a treatment of sensitive and itchy skin with the display of eczema. For a wash of a skin like this is the most suitable the foam wash atopos or the foam wash babe. 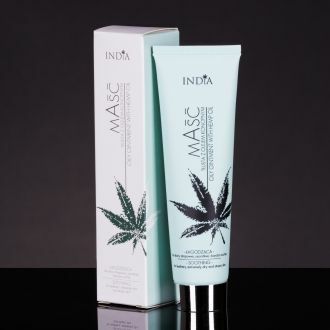 Badly dried and cracked skin is well calmed and greased with the cannabis ointment for a treatment of the rest of the body form a suitable combination of cosmetic care from the cosmetic line natura. 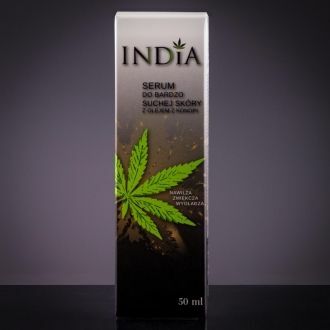 Ingredients: Aqua, Cannabis Sativa Seed Oil, Butyrospermum Parkii, Glycerin, Polyglyceryl-3 Methylglucose Distearate, Glyceryl Stearate, Stearic Acid, Panthenol, Glucose, Commiphora myrrha, Majorana hortensis, Dead Sea Salt, Tocopheryl Acetate, Bisabolol, Allantoin, Glucose Oxidase, Lactoperoxidase .